Last time in our series on worship, we began a study on what the Bible says about posture in worship. So why is posture important? Why all the verses? Why, in a day when we are called upon to worship God in Spirit and in truth, should we be concerned about our outward expressions of worship? In our time together this evening I want to answer these questions. We will first discuss the importance of posture and then conclude with a right perspective on posture. 1. God made us to be both body and soul. God created our bodies, as well as our souls. He made us of dust and breathed life in us. He made us to enjoy Him, not only in our souls, but in our bodies as well. He demands our obedience, not only in our hearts, but lived out in our bodies as well. Paul refers to our bodies as the temple of the Holy Spirit. Or do you not know that your body is the temple of the Holy Spirit who is in you, whom you have from God, and you are not your own? For you were bought at a price; therefore glorify God in your body and in your spirit, which are God’s (1 Corinthians 6:19–20). I beseech you therefore, brethren, by the mercies of God, that you present your bodies a living sacrifice, holy, acceptable to God, which is your reasonable service (Romans 12:1). He desired that Christ be exalted in his own life lived out to God’s glory. For I know that this will turn out for my deliverance through your prayer and the supply of the Spirit of Jesus Christ, according to my earnest expectation and hope that in nothing I shall be ashamed, but with all boldness, as always, so now also Christ will be magnified in my body, whether by life or by death (Philippians 1:19–20). We cannot separate body and soul. God has created us and wired us to be complete beings. What we do with the body affects the soul. What goes on in the soul is made manifest and expresses itself in the body. Corporate worship of necessity involves the body. We sing with our lips. We place our gifts and tithes in the offering plate. We eat and drink at the Lord’s Table. 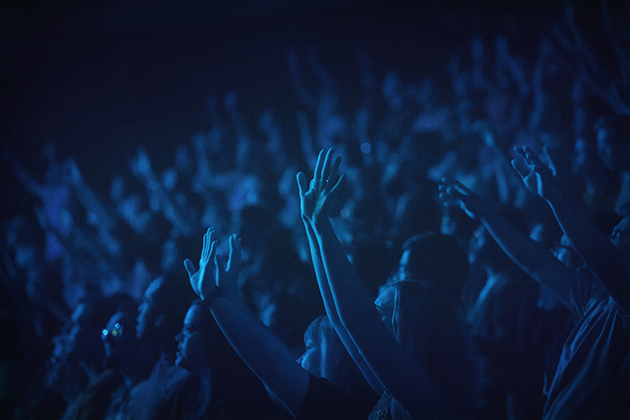 When we worship God, we worship Him in our bodies. 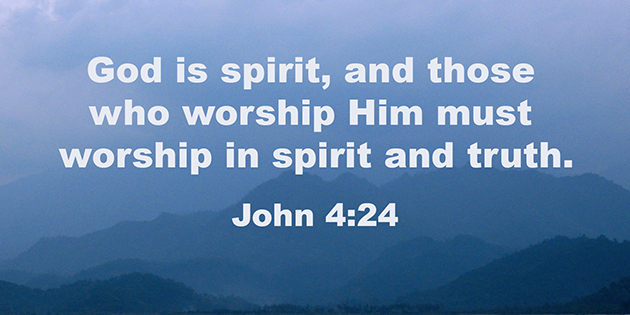 Oh, but some might say, “God is Spirit.” And we are to worship Him in Spirit and in truth. God is concerned with my heart and so what I do with my body is of little or no consequence. It is true that we are to worship God in Spirit and in truth. But God informs us in His Word that He has given His Sprit to make us alive—in our bodies. His indwelling presence has made our bodies temples of worship. We are living sacrifices, dead to sin but alive unto Christ. We cannot escape our bodies if we are to participate in the elements of worship. We can get into trouble and become imbalanced we disengage our body and soul. This can happen two ways. We become so withdrawn or introspective that we no longer value what is happening around us—or concern ourselves with how we are reacting to what is happening around us. We think that we can hold our faith on the inside—in the domain of the heart—without caring that it ever shows on the outside. We become so extroverted that we content ourselves with just going through the bodily motions and we disengage the heart. We think God will be pleased with our outward show of faith without caring that we really mean it on the inside. Both of these dangers lead us down the road of hypocrisy. When God truly pierces us with His Word, it affects body and soul! Truth rightly understood in the heart—on the inside—will compel us to live out truth and rightly apply it—on the outside. Worship begins in the heart—in the mind (focusing and directing our thoughts), then the will (determining our actions), and our emotions (flooding and spilling out into our feelings). As the truth of God’s Word dawns in our thinking by the illuminating power of the Spirit, we are brought to sorrow and repentance over our sin—we are brought to joy and faith in the salvation and forgiveness of sin found in Christ. And we are spurred into action and obedience as the reality of God’s work on the inside is expressed and lived out on the outside. We need truth, but we need the Spirit to quicken us and make that truth alive and active in our hearts and in our lives. Truth is not just for the mind—it is for the whole of our being. Truth has implications and demands on our hands and feet as well as our minds and intellect. Known truth must be practiced truth. Doctrine must find its way to devotion. I. The meanings of the two words, translated most often in Scripture as “worship” in both the Old and New Testament, refer to posture. When Solomon had finished praying, fire came down from heaven and consumed the burnt offering and the sacrifices; and the glory of the Lord filled the temple. And the priests could not enter the house of the Lord, because the glory of the Lord had filled the Lord’s house. When all the children of Israel saw how the fire came down, and the glory of the Lord on the temple, they bowed their faces to the ground on the pavement, and worshiped and praised the Lord, saying: “For He is good, for His mercy endures forever” (2 Chronicles 7:1-3). In the New Testament proskuneo is the Greek term most often translated “worship.” It has a similar meaning: to bow down, become low or kiss toward. It is the verb used when the wisemen came to Bethlehem to see Jesus after seeing His star in the East. And when they had come into the house, they saw the young Child with Mary His mother, and fell down and worshiped Him. And when they had opened their treasures, they presented gifts to Him: gold, frankincense, and myrrh (Matthew 2:11). And he said to Him, “All these things I will give You if You will fall down and worship me.” Then Jesus said to him, “Away with you, Satan! For it is written, ‘You shall worship the LORD your God, and Him only you shall serve’” (Matthew 4:9–10). And as they went to tell His disciples, behold, Jesus met them, saying, “Rejoice!” So they came and held Him by the feet and worshiped Him (Matthew 28:9). Then the eleven disciples went away into Galilee, to the mountain which Jesus had appointed for them. When they saw Him, they worshiped Him; but some doubted (Matthew 28:16–17). And thus the secrets of his heart are revealed; and so, falling down on his face, he will worship God and report that God is truly among you (1 Corinthians 14:25). This is a physical expression of worship—not just bowing down to God in the heart, but bowing down with the body. The twenty-four elders fall down before Him who sits on the throne and worship Him who lives forever and ever, and cast their crowns before the throne (Revelation 4:10). Some have interpreted Jesus’ words here to mean that God is only concerned about our spirit in worship—only interested in what is happening on the inside—the externals are of no importance or consequence. I submit to you that this is a misinterpretation of these verses. Jesus was not teaching here that the body no longer mattered. He was teaching that our worship must be alive in the power of the Spirit and informed and in submission to the authority of His Word. Truth must first be received and understood and grasped by the heart, but when truth grips us—when it really matters to us—when it really affects us—it will be borne out—visibly displayed—made apparent and lived out in our bodies. 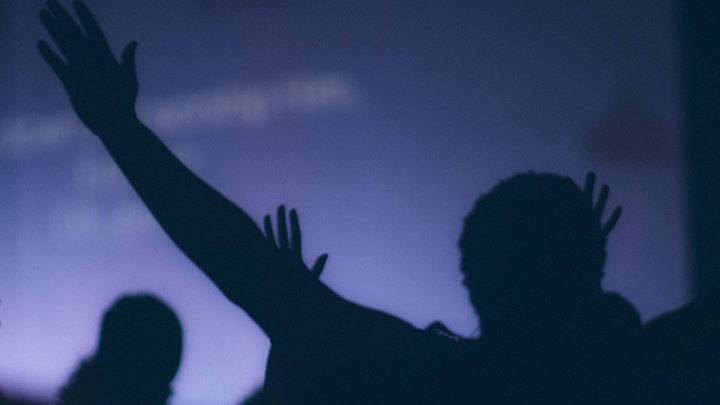 What does it look like when we worship God? What should it look like? What affect should truth have on our physical expression—on our countenance—if we really get it? When we look into God’s Word, we see that He has much to say concerning our posture and expression in worship. He is concerned not only with what we are communicating directly to Him on the inside in our hearts—but also what we are communicating on the outside to those around us. God alone is worthy of our worship. He alone is Most High. And we are to express our worship to Him in both body and heart. So how then can we know what is appropriate and fitting as we physically express our devotion to God in worship? Here the Scripture gives us a wealth of information. When you think about worship, what comes to mind? What do you look for in a worship service? What do you enjoy most? What makes a service rich and meaningful? When you think about the gathered worship of the church—what do you find most delightful and memorable? There are many wonderful things about our times of worship: the fellowship we share together, opportunities we have to encourage one another, the singing of psalms and hymns and spiritual songs, the times of corporate prayer and intercession, the biblical preaching and teaching of God’s Word. But as needful and as meaningful as these elements can be, they are not the chief joy and end of our worship. We sing and preach and pray and engage in these elements as a means to another end. So what is that end? The end that is our great delight in worship is Jesus Christ Himself! His Person, His Work, and His glory! We can have preaching and singing—even good preaching and good singing. We can have praying and fellowship—heart-felt prayers and sweet-caring fellowship, but if we miss Christ, we miss worship. If we lose sight of Christ and His glory, our attempts at worship may sound good and look good and feel good, but they will be empty and vain. What we need most in worship is to center on Christ— to look for Him, to pursue Him, to see Him, to embrace Him and to commune with Him. Truth has not captured us until it has conquered heart, mind, soul and body. It is certainly true that truth must lay hold of our minds—that we must grasp the truth and understand it, as God is pleased to give us light. But we should never be satisfied just to see truth take root in our thinking—just to revel in understanding. God intends to conquer every part of us with His truth. And His conquest of our being is borne out in our affections, thoughts, choices and obedience. It is not enough just to acknowledge truth in our minds or even just go through the motions of outward obedience with our bodies—God is concerned with our hearts. We need truth to penetrate us, capturing our will and laying hold of our affections—changing, sanctifying and delighting our whole being. And so, when we come to worship, we should come expecting God to work in us—to change us, to affect us. We should come praying for understanding—and we should come, as well, praying that God would give us wisdom to make good choices, give us the courage and motivation to obey Him, and give us the passion that will captivate our hearts and keep us fixed upon Him in loving devotion. It is essential that we give attention to the mind and fortify our thoughts with God’s Word—continually keeping Christ and His gospel foremost in our thinking, so we can recognize evil—to stand against it when needed; to flee from it when needed—and so we can know the truth and embrace it and set the course of our life by it. For the weapons of our warfare are not carnal but mighty in God for pulling down strongholds, casting down arguments and every high thing that exalts itself against the knowledge of God, bringing every thought into captivity to the obedience of Christ, and being ready to punish all disobedience when your obedience is fulfilled (2 Corinthians 10:4–6). We must bring the thoughts and imaginations of our mind before the rule of Scripture—setting them under its light and submit them to God’s revealed and holy will. Why is the mind such a prize for Satan? Why is it such a battlefield for the soul? It is a prize because it is God’s. God has made us to be vessels, to be reflectors. He created us to reflect His glory—to ponder His attributes and perfection and wonder at His holiness and moral excellence. He made it to absorb and delight in truth and righteousness. We are created to bear His image and to reflect a measure His glory. But sin has marred that image and dulled that reflection. And so instead of displaying His praise, we are twisted out of shape and bent by the evil that is in us and around us. Instead of delighting in truth, we exchange truth for a lie and squander our thoughts in paths that are empty and godless. We must be concerned with the mind, because we need guidance, direction, prodding and shaping to be made into the person God desires us to be. We are in a battle for the truth. All of us will conform to something—we will be shaped. Satan’s goal is to deceive us and destroy us by marring that shape with evil. The world is attempting to shape us—intimidate us, allure us or shame us into conformity. Our flesh is weak and ready to give in and drift with the flow. But God desires us to stand firm and resist and fight. And to do so we must engage our minds. True worship is centered on God. We see this in Psalm 97 from the very first verse. We are to be glad and rejoice. Our God reigns! Our Lord is Sovereign over all. This knowledge should season every thought and flavor every prayer! Notice that Psalm 97 begins with praise. 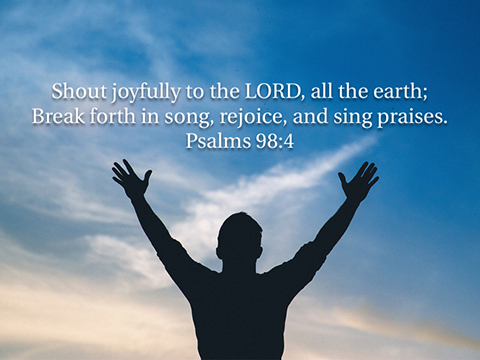 The psalmist lifts his voice with confidence and joy starting with the very first verse. Not all the psalms begin this way. Many open with cries of distress or sorrow. The psalmist is afflicted, persecuted, facing suffering or weighed down by trials. In these circumstances, as the psalmist pours out his heart before God, you will find petitions, prayers and laments. But as you read the psalms, you will also discover that the focus doesn’t remain on the problems and difficulties and trials. Over and over throughout the psalms, the concern of the psalmist turns from his petitions and laments to God’s glory and praise. Do you see the change in David’s focus as the psalm begins compared to how the psalm ends? As he meditates and remembers the God to whom he is praying, his heart is turned from sorrow to praise! The remainder of the Book of Psalms is a glorious testimony that this promise is true. In every distress and storm where the psalmist feared that he would wither or fall, when the psalmist looked to God and trusted in God and clung to God’s revelation of His character and promises and will, when he was confident that God would accomplish His purposes, then his focus turned from petition and lament to praise and rejoicing. This is why Psalms is called in Hebrew a Book of Praises (Sepher Tehillium). This has great implications for our worship today. If our desire is to have worship that honors God and enriches, encourages, and nourishes our souls, our greatest need to stop focusing on ourselves and remember God. Think of this when we gather together for worship on the Lord’s Day. Think of this when we come together for prayer on Wednesday nights. As you voice your concerns and share your heart, honestly confess your difficulties and struggles, tell God your sorrows and troubles, but don’t stay there! Look to God! Our God reigns! Let your words dwell upon Him! Often I am asked by members and visitors at Grace Baptist Church where to find the lyrics or music to the songs we sing in worship. Our music at Grace comes from many songwriters and composers, embracing new songs of our day as well as cherished hymns of the faith. Click here to see a complete list of 150 of our current and favorite music for worship thus far for 2015. Each song is linked to a page where you can find lyrics and/or music. Click here to see our service orders (posted each week) for gathered worship at Grace. What is most important to you when you worship God? If you were to list those things that are really essential for you to participate in worship, what would they be? Is it a certain style of preaching? Is it a certain translation or version of the Bible? Is it a certain type of music? Is it a sense of reverence and awe? Is it a sense of excitement and praise? Of course it is important to be intentional and thoughtful about reading and preaching God’s Word. We should be careful and purposeful about our praying and singing. We want to respond to God in ways that are biblical and appropriate. But worship is more than the external elements we engage in. It is more than the outward actions that occupy so much of our concern. In John 4:1-26 Jesus points us to something much deeper at the heart of worship. The context of this passage may seem at first to be somewhat unusual for a discussion about worship. Jesus is passing through Samaria on His way to Galilee and He stops at Jacob’s well for a drink. There He encounters a women from Samaria and He draws her into a conversation by asking her to give Him a drink. Read more sermon notes from “In Spirit and In Truth” (from the series “Thoughts on Worship”) delivered at Grace Baptist Church, May 17, 2015. The inscriptions included at the beginning of many of the psalms offer valuable instruction for church musicians. They provide brief glimpses of the worship practices of ancient Israel and the Temple. In earlier posts we considered four categories of titles: designation, description, explanation and application. 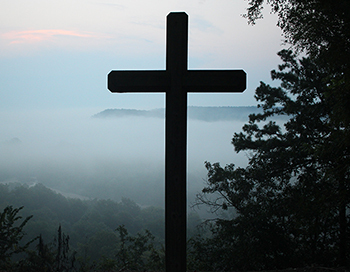 The final category of psalm inscriptions is interpretation. Thirteen inscriptions included in the first three books of the Psalter relate to interpretation, clarifying how the psalm was musically performed or sung. These inscriptions always follow the designation to the chief musician (lamnatstsech). Although these headings are the most difficult of the five types to satisfactorily understand and adequately translate, they include terms that most likely denote musical instrumentation, voicings, melody or tune names, and musical styles. All but one use the preposition ‘al meaning upon or according to or the proposition b meaning with. Three of the headings appear to indicate musical instrumentation. They refer to stringed instruments, flute or wind instruments, and an unknown instrument of Gath. The Hebrew inscription binginoth consists of the preposition b meaning with or on and the plural form of the noun neginoth. Neginoth comes from the root nagan meaning to touch (strings) or to play a stringed instrument. Most modern versions translate the inscription as with stringed instruments or simply for strings. The KJV leaves the term untranslated as on Neginoth. The inscription el-hanechiloth occurs only in Psalm 5. It consists of the preposition el meaning upon and the plural form of the noun nechilah which most likely denotes a flute. Most modern versions translate the heading as for flute accompaniment or simply for flutes. As with neginoth the KJV leaves this term untranslated, upon Nehiloth. Flutes were primarily used on special occasions and festivals in the worship of Israel, including Passover, Pentecost, and the Feast of Tabernacles. According to Edersheim, “the flute was also used by the festive pilgrim-bands on their journey to Jerusalem, to accompany ‘the Psalms of Degrees,’ or rather of ‘Ascent,’ sung on such occasions.”  This heading does not appear on any of the Songs of Ascent, however, all of the psalms in Book V lack titles of application. The instruction ‘al-hagitith appears in three psalms. The Hebrew phrase consists of the preposition upon ( ‘al), the definite article h and an uncertain term gittith. The term gittith most likely refers to a musical instrument named after the Philistine city of Gath. David spent time in Gath when he was fleeing from Saul (1 Samuel 21:10–15). He would have been aware of their musical practices. Kraus suggest, however, that the term “probably refers to a melody” and should be rendered according to the Githitic (tune). The KJV, NAS, NIV, ESV and NRSV all leave the term untranslated. The NKJV has on the instrument of Gath. The two headings indicating a certain voicing or tuning of the stringed instruments are the first of the headings to appear in Scripture outside the Psalter. They are found in 1 Chronicles 15:20 and 21 where David prepares to bring the ark to Jerusalem and appoints Levites to oversee the worship of God. The singers, Heman, Asaph, and Ethan, were to sound bronze cymbals; Zechariah, Aziel, Shemiramoth, Jehiel, Unni, Eliab, Maaseiah, and Benaiah were to play harps according to Alamoth; but Mattithiah, Eliphelehu, Mikneiah, Obed- edom, Jeiel, and Azaziah were to lead with lyres according to the Sheminith. Chenaniah, leader of the Levites in music, should direct the music, for he understood it (1 Chronicles 15:19–22). The use of the inscriptions in this historical context reveals that they are ancient, going back at least to the beginning of David’s reign as king. The heading ‘al-hasheminith occurs in Psalms 6 and 12. The term is unclear, but likely instructs the instrumentalist to tune to or play in a lower key. A similar heading to sheminith occurs in Psalm 46, ‘al-‘alamoth. This term is also uncertain, but is likely a compliment to sheminith, especially in light of their use in 1 Chronicles 15:20–21. Alamoth, therefore, would denote a tuning to or playing in a higher key. The tune Aijeleth Hashachar is found only with Psalm 22. The KJV and NAS leave the title untranslated, but other versions have spawned a number of suggested translations. These include: The Deer of the Dawn (NKJV and NRSV), The Doe of the Morning (NIV), and Doe of the Dawn (ESV). The title ‘al-Jonath Elem Rechokim occurs only in Psalm 56. The terms in the heading are uncertain and have produced a number of various translations: The Silent Dove in Distant Lands (NKJV), A Dove on Distant Oaks (NIV), The Dove on Far Off Terebinths (NRSV and ESV). The KJV and NAS leave the title untranslated. The inscription ‘el-shoshannim means literally upon Lilies. Of the seven inscriptions that likely refer to tune names or melodic patterns, this one presents the most difficulty. It occurs in three psalms, 45, 69, and 80. Psalm 45 is a song of love replete with praise and adoration. Psalm 80, however, is a lament containing a refrain that pleads with God for revival. It seems improbable that two psalms of such different character could be performed with the same musical setting. The phrase is literally translated as Lilies (NKJV, NIV, NRSV, and ESV). The KJV and NAS leave the title untranslated. The KJV, NAS and ESV leave the title untranslated. Translated tune names include: Lily of the Testimony (NKJV) and The Lily of the Covenant (NIV and NRSV). The KJV, NAS, ESV and NRSV leave the title untranslated. NKJV and NIV translate the name of the tune as Death of the Son. The title of Psalm 53 uses the uncertain term machalath with the preposition according to (‘al); Psalm 88 uses both machalath le‘annoth introduced by according to (‘al). Marvin Tate says in his commentary that the phrase is “assumed to be a tune or chanting pattern to be used with the psalm.”  The KJV, NKJV, NAS, NIV, ESV and NRSV leave the terms untranslated, implying this possibility. The heading ’al-tashcheth appears in four psalms. It consists of the negative particle ’al and the Hiphil (causative active) form of the verb shachath meaning to spoil, ruin, or wipe out. The KJV and NAS leave the title untranslated. The NKJV, NIV, NRSV, and ESV all translate the title as Do not Destroy. This heading referring to Jeduthun, one of David’s chief musicians, appears in two psalms (62 and 77). 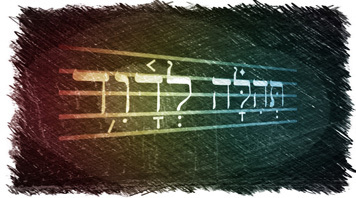 Jeduthun’s name also appears in a title of designation (with the preposition לֹ) in Psalm 39. 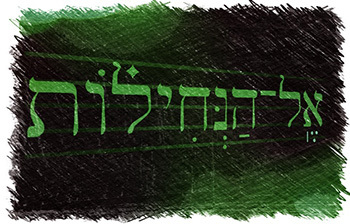 Tate suggests that the title in Psalm 62 and 77 employing the preposition ‘al may be “referring to a tune or musical setting, according to which the psalm was to be sung.”  The Hebrew preposition, however, is best translated here as according to. Kraus suggests the proper rendering “After the manner of Jeduthun’s music making,”  denoting a particular style for which Jeduthun was known. Although the titles of interpretation are the most difficult to translate, they do shed some light on the use of music in worship. First, the titles indicate a measure of thoughtfulness and planning in the preparation and performance of music. The musicians who served in the Temple were intentional in choosing what instruments were used (strings, flutes, and even an instrument of Gath) and the key or tuning of the musical setting (lower or higher). They used specific melodic patterns or tunes to accompany certain psalms. They even used the musical settings or styles of particular composers (as with Jeduthun). The titles of application serve to remind us to put thought and care into the planning of music for worship. Second, the titles also suggest a rich crossover between the music of the Temple and the popular music of the people (sung in homes, in the fields and in other cultural settings). Temple musicians borrowed from well-known or popular settings; they included melodic patterns that were familiar to the people. This is a point worth noting. There are some who have concluded that sacred music (music used in the worship of God) should have a decidedly distinct sound or style from secular music (music used for other purposes in the world). The psalm inscriptions, however, suggest that the musical style and arrangement of sacred and secular are not so markedly separate. In the New Testament Paul provides a paradigm for church music that encompasses a vast array of musical sounds and styles down through history and around the world. We are to sing “psalms and hymns and spiritual songs” (Ephesians 5:19, Colossians 3:16) to the glory of God. The music of the church begins with the psalms, rooted in the worship of ancient Israel. But even in the psalms we see the beginnings of the varied sounds of praise in worship. Along with popular melodic patterns accompanying some of the psalms, we see remarkably, instructions to use an instrument (or possibly a tune) from Gath. A part of the musical tradition from a city of the Philistines, one of Israel’s enemies, is selected and sanctified for use in worship. The psalms set a musical precedent for worship that God will accomplish in fuller measure in the New Testament through the church. 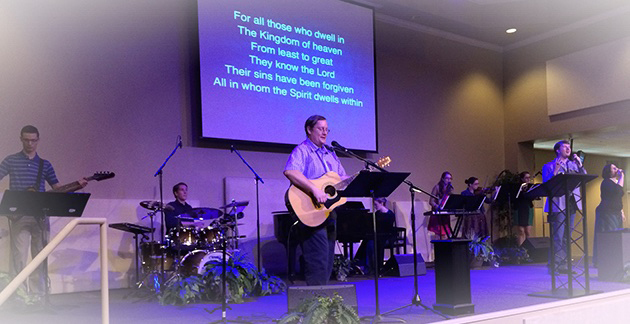 Throughout church history, God has added and continues to add many musical styles and sounds to His praise. As the gospel goes out in the power of God’s Spirit, conquering hearts and lives, people from each generation and from every tribe and tongue and nation add their voice to the music of the church. There is not one sound that is solely sacred, but a vast array of musical composition that God is weaving into a tapestry of praise for His glory. The New Brown–Driver–Briggs–Gesenius Hebrew and English Lexicon [BDB], 618. Abraham Z. Idelsohn, Jewish Music: Its Historical Development (New York: Henry Holt and Company, 1929; reprint, New York: Dover Publications, 1992), 8. John Joseph Owens, Analytical Key to the Old Testament (Grand Rapids, Mich.: Baker Book House, 1992), 3:263. Ernest Klein, A Comprehensive Etymological Dictionary of the Hebrew Language for Readers of English. (New York, MacMillian Publishing Company, 1987), 111. Hans-Joachim Kraus, Psalm 1–59: A Commentary, trans. Hilton C. Oswald (Minneapolis, MN: Augsburg, 1988), 31. Peter C. Craigie, Psalm 1-50, Word Biblical Commentary, eds. David A. Hubbard, et al., vol. 19 (Waco, TX: Word Books, 1983), 90. Curt Sachs, The History of Musical Instruments (New York: W. W. Norton and Co., 1940), 126. Owen, Analytical Key to the Old Testament, 3:269. Marvin E. Tate, Psalm 51-100, Word Biblical Commentary, eds. David A. Hubbard, et al., vol. 20 (Dallas, Texas: Word Books, 1990), 394. Psalm 57, 58, 59, 75. William L. Holladay, A Concise Hebrew and Aramaic Lexicon of the Old Testament (Grand Rapids, MI: William B. Eerdmans Publ. Co., 1988), 366. Kraus, Psalms 1-59: A Commentary, 30. See also BDB, 393.